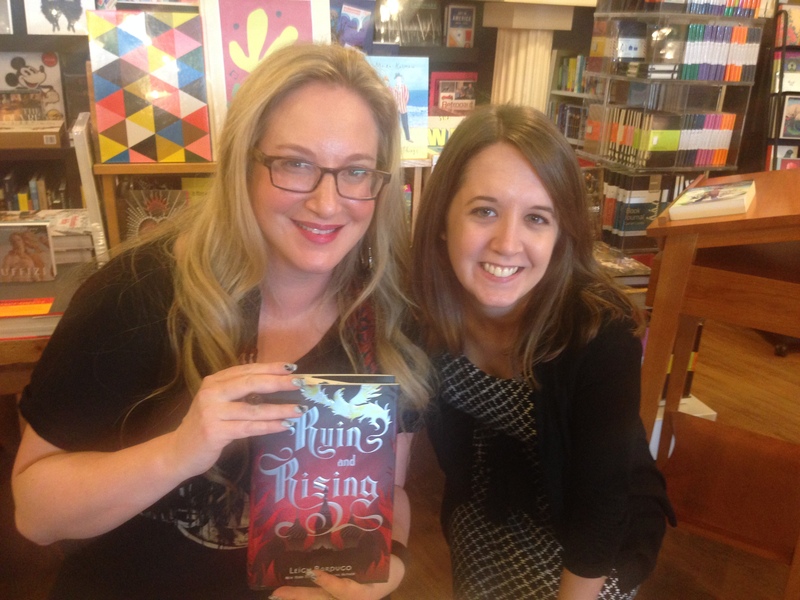 16 Responses to Leigh Bardugo Event! Leigh is so friendly and nice! I saw her at the DBC and she is so fun to listen to! I can’t wait for her next book..I had not heard about it until this post and it sounds awesome. She was fun to listen to! So expressive! And the new book definitely sounds awesome! Darn, I wish I had a Sturmhond quote in my book! It’s so cool that Leigh asked before signing it. And I love the dice! So great that you got to see her Amy! I thought that was neat too! A girl in front of me had a Sturmhond quote on her shirt and Leigh’s like, “So I’m guessing Sturmhond’s your favorite character?” Ha ha. Isn’t she awesome?! I’m so jealous that she didn’t come to Houston (again — I’m spoiled)! 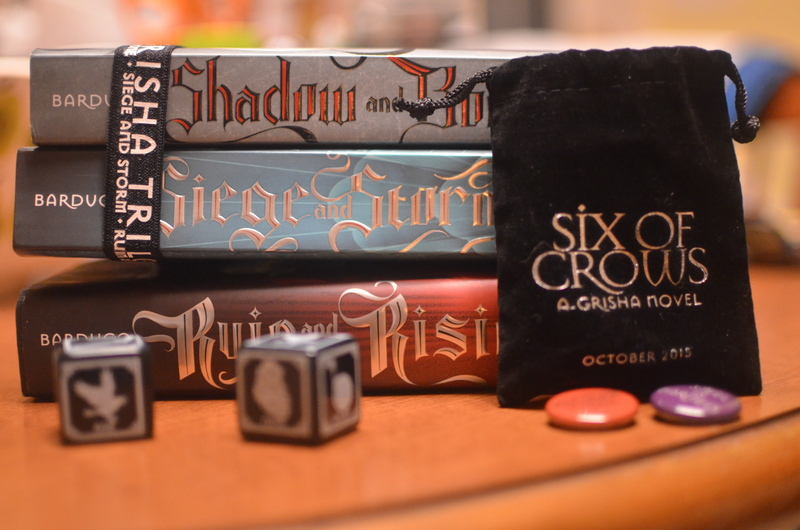 I am DROOOOLING over those dice! One of my other friends from Houston was jealous too! You do get a lot if author signings though! 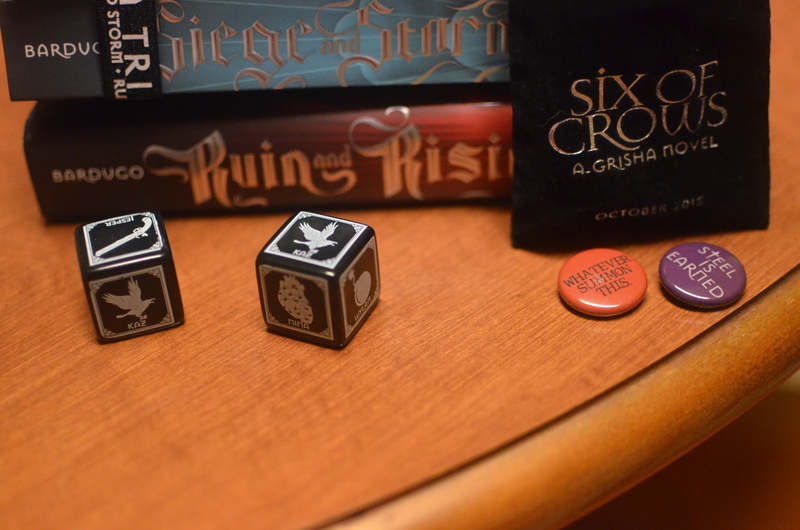 The dice are neat; so glad I got them! That is so awesome. She sounds really nice and fun to year from 🙂 and I’m so glad you got the dice and all the swag even at the back of the line! 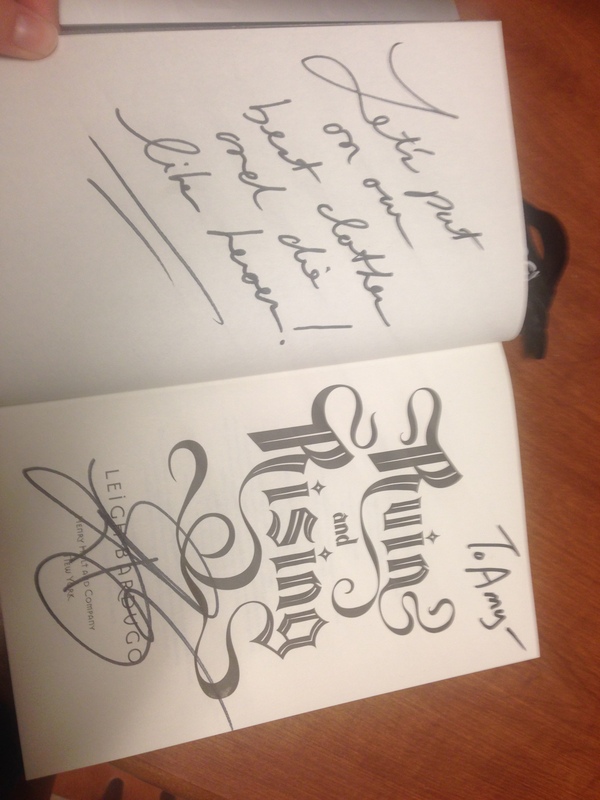 Leigh Bardugo and Marissa Meyer are the two authors that for me have been like if they came here I would HAVE to go! So now I’ve got to wait for Marissa, but I am so glad I did get to meet Leigh! I love when stuff like this is close to home- 45 mins isn’t bad! I haven’t read these yet, but from all the love they get, they must be pretty amazing. And love the stuff you got, very nice! I really enjoyed all three books! Definitely check them out if you’re interested in fantasy! I did go to the National Book Festival in D.C. once and I got to meet Michael Grant and get a book signed, but I totally blanked when it came to chatting with him (so props to you!). He had mentioned during his author talk that he loved the show Lost, so I really should’ve asked him what his favorite character was, haha (Not to mention that he looks a lot like one of the characters!). Yay! So glad you’re loving the books! Leigh is really cool; you’ll enjoy meeting her!